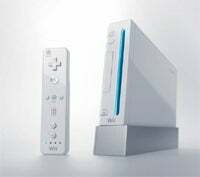 Yes, we know that the annual Christmastime Wii shortage is always unintentional on Nintendo's part. They're just constantly shocked, for three straight years, at how popular their console is. "We are really intending to increase the shipments to the U.S., especially compared to last year," says Satoru Iwata, Nintendo's global president and CEO. "However, I can't give you a 100% commitment [that you'll be able to find a Wii this holiday season]. What I can commit myself to is that Nintendo is going to do its best to supply as many Wii hardware units as possible in order to meet demand there."